Iceland24 Travel Blog: A blog about traveling in Iceland. 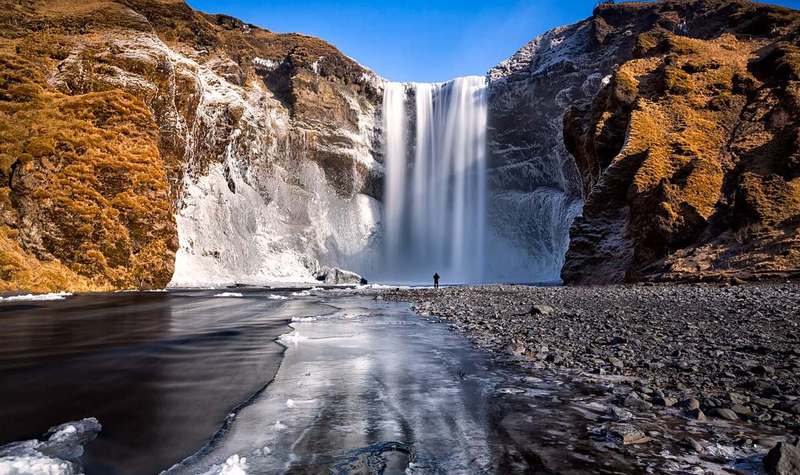 All the information and advice you need for an inspirational visit to Iceland. Free Travel Guide! 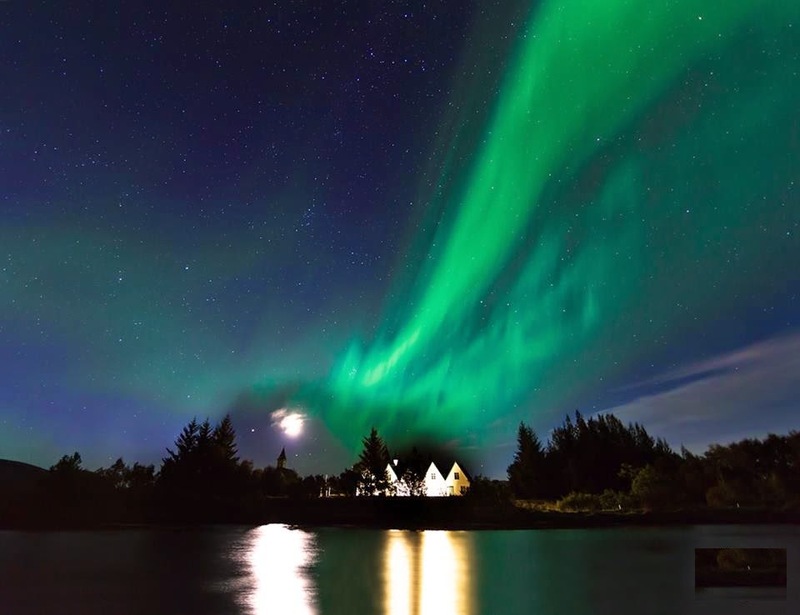 Iceland is a special place with an array of holiday traditions that are as unique as the island its self. 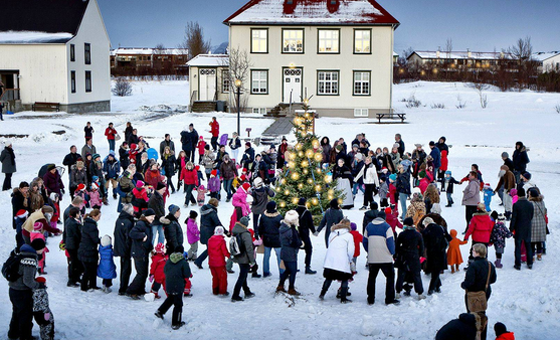 In Iceland, the Christmas festivities start on December 24th and last for 12 nights until January the 6th. In many northern countries, Christmas has its roots in ancient traditions connected to the winter solstice. Former non-Christian cultures celebrated ‘Yule’ on the shortest day of the year, which is also very close to the traditional Christmas season. Many of the early traditions surrounding Yule are a mystery to us today, but what hasn’t changed much over the centuries is the food and drink! Feasting and ale were the order of the day with Icelandic Chieftains inciting scores Yule drinking fests. 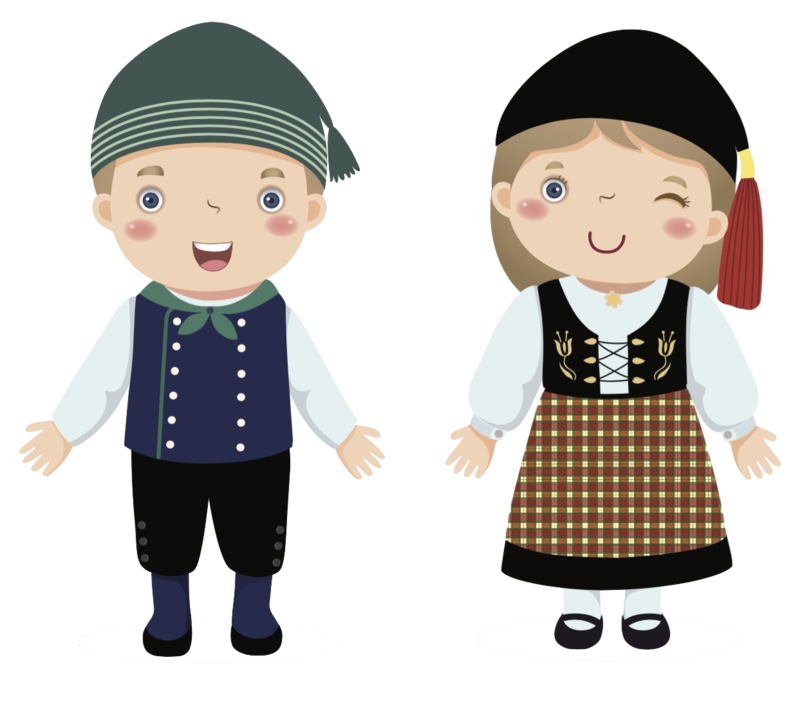 After Christianity became the prevalent religion, the pagan Nordic traditions were replaced by celebrations of the birth of Christ. Christianity had long since been adopted in Rome, the prevailing power of the day. Celebrations of Christmas replaced pagan holidays in many places thanks to Rome’s influence. The 13 day celebrations began in the 4th and 5th Centuries. Most Christian nations celebrated Christ’s birth on Dec. 25th and his baptism on Jan. 6th along with the adoration of the Wise Men. While the holiday many be 13 days long and includes many beloved and time-honored traditions, to some getting ready for the festivities is just as much of a tradition at that time of year. For hundreds of years people have been caught up in Christmas preparations the week before the holiday kicks-off. The Icelandic people would traditionally refer to this time as ‘Fast Advent’. This name arose because of the old Christian practice of fasting before Christmas. Just as one would leading up to Easter, Icelanders would restrict their diet in the weeks before Christmas, often eating no meat during this time. 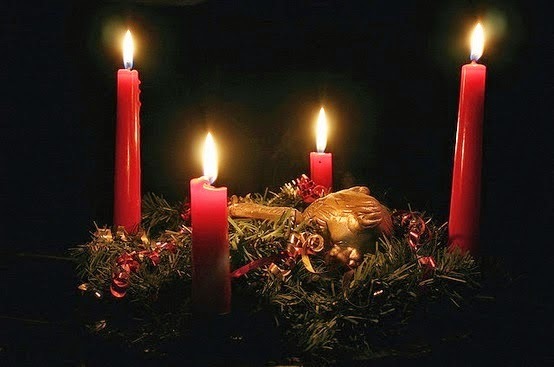 The term Advent comes straight from the Latin word ‘adventus’, which means ‘to arrive’. In many Christian cultures, Advent is a time to prepare both your spirit and your home preparations for the arrival of Christmas. Advent begins on the fourth Sunday before Christmas is a time for spiritual reflection and for hard work and everyone pitches in to make Christmas memorable. In modern times the popularity and love of Christmas has meant that people often start their Christmas preparations long before Advent arrives. However, Advent is still a special time, when we rush and plan and cook and decorate, all to get ready for a season of togetherness when we spend time with those we love. 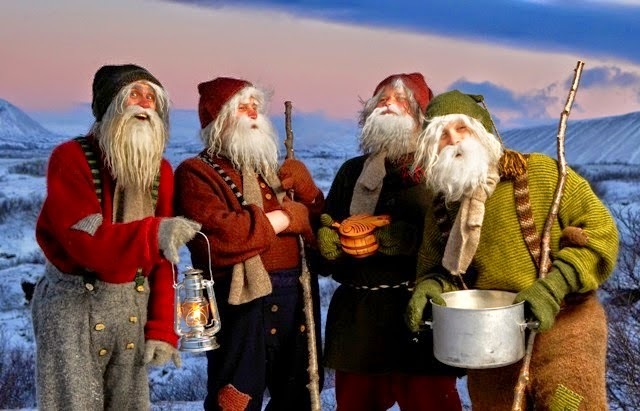 Modern Icelandic Christmas may differ from the traditions of old, but the amount of time and preparation that is put into the festivities has certainly not decreased! In modern Iceland, before the bells ring in the Christmas celebrations, from cards and gifts to new Christmas clothes, a good Christmas cleaning and decorations for the house, everyone pitches into to make a festive holiday season. 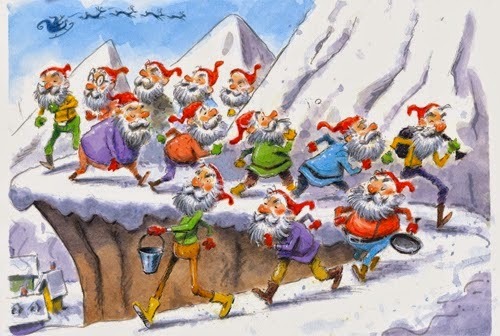 Thirteen days before Christmas children leave their shoes by their window to be filled by the Yule lads (the Icelandic version of Father Christmas/Santa Claus) on his visit. Like in the feast days of old, Christmas food is an essential part of any celebration. 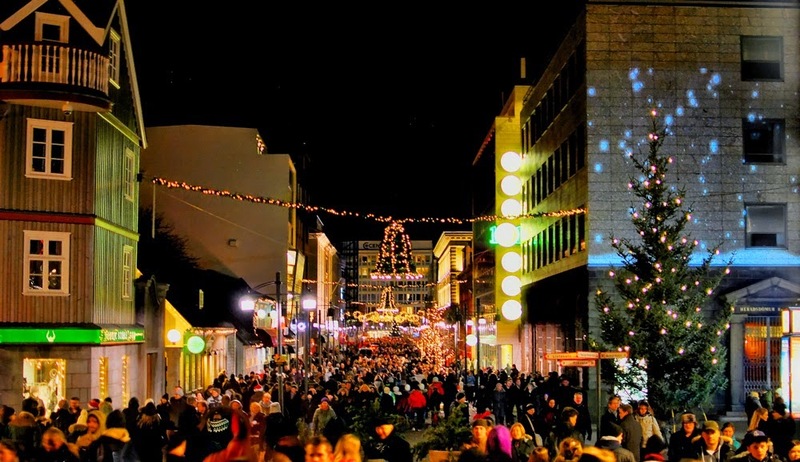 When Christmas Eve arrives and all the preparation is finally done, Icelanders settle in for 12 spectacular days and nights of parties and entertainment. There is no shortage of food to be found at the Laugarvegur shopping district. With a wide array of pubs, restaurants and clubs, you appetite for Christmas cuisine is sure to be satisfied along with your desire for a night on the town. The center also provides for a relaxing setting after a day of shopping or sightseeing. The aroma coming from Reykjavik on Dec. 23 is sure to be a strong attraction for all fish lovers. The traditional skate parties are held yearly the day before Christmas Eve, when the natives cook this special north Atlantic species of ray fish. Most restaurants in Reykjavik offer skate at this time of year, but skate is a particular specialty of Saegreifinn seafood restaurant, which we highly recommend. The smell might take some getting used to, but the party should not be missed. Baked goods are a specialty of an Icelandic Christmas. Laufabrauð, a uniquely shaped deep-fried wheat bread, is an Icelandic delicacy that should not be missed at Christmas time and is best eaten with a little butter. If you have a bit of a sweet tooth, why not try some of the traditional Icelandic Christmas cookies, baked with love by the locals. 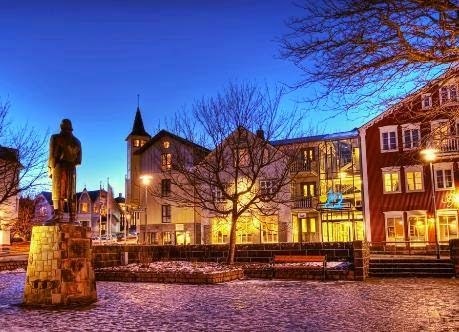 Perfect for some last minute or after-Christmas shopping, Reykjavik boasts Europe’s largest shopping mall! Smaralind is just a short bus or taxi ride from our hostel. Smaralind’s prices are competitive with European prices, and in many, if not most cases you can find a terrific deal. Kringlan shopping center, like Smaralind, is located in relatively close our hostel. Kringlan is regarded as Iceland’s first modern shopping mall. Even though this indoor shopping center has been open for 25 years, it has modern amenities and trendy places to shop. The closest and most convenient shopping is located in the Laugarvegur shopping district, less than five minute walk from our hostel. At Christmas time, this district lights up the dark northern days with twinkling lights and festive decorations, setting a romantic scene in late November and December. The snow is the final finishing touch to make this area into the perfect winter wonder land. Come and experience the magic of an Icelandic Christmas with your loved ones and have a holiday season that you’ll never forget. Christmas in Iceland: a holiday season as unique as Iceland itself! Hi, When is the best time to visit iceland? It depends on your personal preference as every season has different options to offer. In the winter time, Northern Lights! in the Summertime? Midnight sun! and so on. Just weigh your preferences! 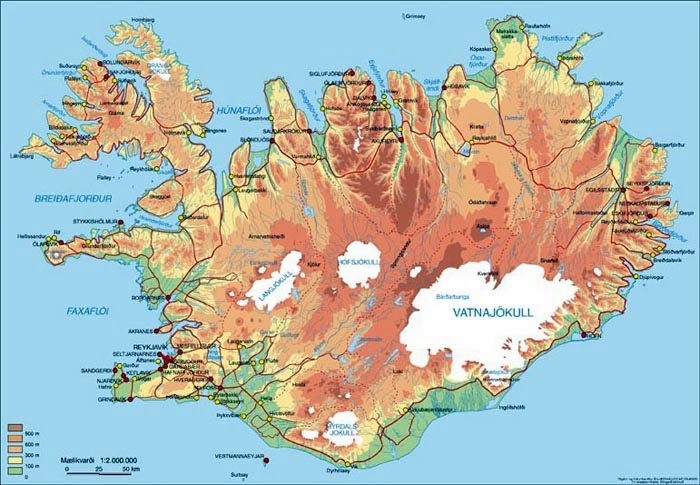 The climate of Iceland is cold oceanic near the southern coastal area and tundra inland in the highlands. The island lies in the path of the North Atlantic Current, which makes the climate of the island more temperate than would be expected for its latitude just south of the Arctic Circle. This effect is aided by the Irminger Current, which also helps to moderate the island’s temperature. 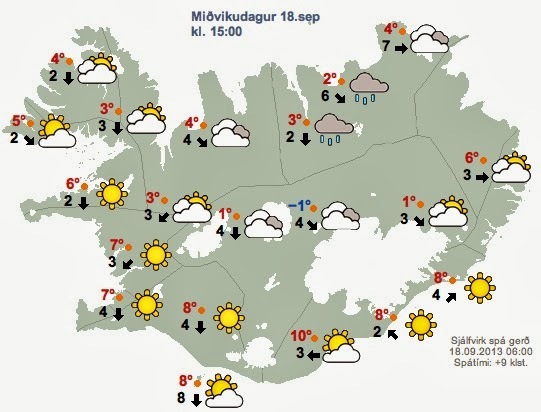 The weather in Iceland can be notoriously variable. The aurora borealis is often visible at night time during the winter. The Icelandic winter is relatively mild for its latitude. The southerly lowlands of the island average around 0 °C (32 °F) in winter, while the highlands tend to average around −10 °C (14 °F). The lowest temperatures in the northern part of the island range from around -25 to -30 °C (-13 to -22 °F). The lowest temperature on record is −39.7 °C (−39.5 °F). The average July temperature in the southern part of the island is 10–13 °C (50–55 °F). Warm summer days can reach 20–25 °C (68–77 °F). 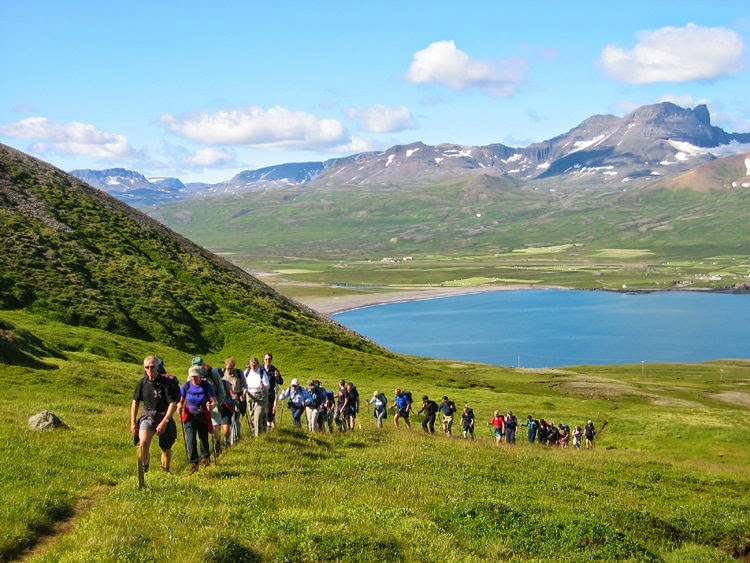 The highest temperature recorded was 30.5 °C (86.9 °F) at the Eastern fjords in 1939. 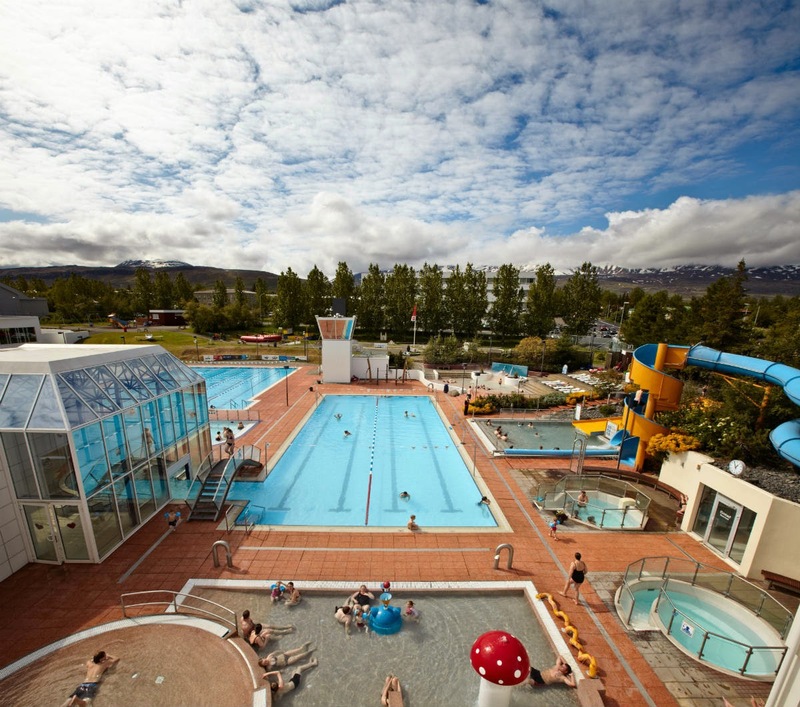 Annual average sunshine hours in Reykjavík are around 1300, which is similar to towns in Scotland and Ireland. Airport Buses: A service is operated between Reykjavík and Keflavík International Airport. Buses leave Reykjavík from the BSÍ bus terminal 2.5 hours before flight departure. 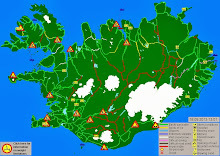 The drive from the airport to Reykjavík takes about 40-50 minutes. 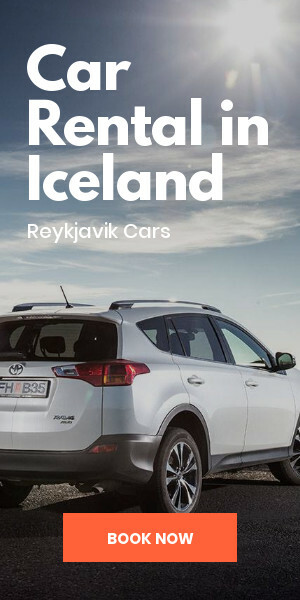 The fare is ISK 1,700 one way for adults, ISK 850 one way for children 12-15 years and free of charge for children 0-11 years.Airport Taxes: The cab fare to Reykjavík for a four-passenger taxi is approximately ISK 10,000. The shops in Iceland are of international standard and carry a wide variety of merchandise. Local specialities are woollen knitwear (for example sweaters, cardigans, hats and mittens), handmade ceramics, glassware and silver jewellery. Also available is a great variety of high-quality seafood. Shopping hours are Mon Fri 09:00-18:00, Sat from 10:00 to 13:00/14:00/15:00 or 16:00. Some supermarkets are open to 21:00 seven days a week. 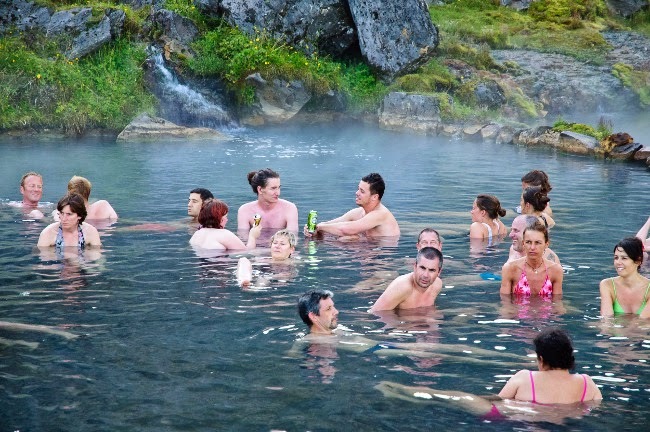 A refund of local Value-Added Tax (VAT) is available to all visitors in Iceland. The refund will result in a reduction of up to 15% off the retail price, provided departure from Iceland is within 3 months of the date of purchase. The purchase amount must be no less than ISK 4,000 (VAT included) per store. All goods (except woollens) need to be shown at customs before check-in. At Keflavík airport this applies only to tax-free forms whose refund value exceeds ISK 5,000. All other forms can be refunded directly in cash at Landsbanki Islands in the departure hall. 9 days trip by K.C. © 2018 All rights reserved - Iceland24 - Reykjavík (Iceland). Powered by Blogger.